Creating and maintaining a remote team is not so easy. 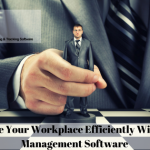 It is about finding the right person who is managing time correctly and have good communication with other employees. It may seem more challenging when you see it first, but once you understood it, it will be easier for you. Once your employees understood their work properly, they can be able to do their job in a right and proper way. They need to understand their needs, information and the elements which they need. Along with these things, another thing is to consider is employee recruitment. Employee recruitment is the other important thing to consider. So let’s have a look at that point. Before you start recruiting employees for your organization, find out what you need from your employees. There is no one who will work under you without satisfaction. An employee can be satisfied with the organization if the salary or payment is as per the expectation of that employee. So don’t forget to think about the budget that you have decided to give per employee. It is the most important thing than others. Make a shifting time schedule. Make a list of employees who are appointed for night shift and who are appointed for the morning shift. Another important thing is language. English is the universal language. Make sure that your employees must have fluency in English. So that they don’t need to face any kind of problems related to this in future. The employee must be dedicated and Co-Operative. These are the needs and qualities that every company needs from its employees. Besides these, remember one thing if someone is not having the required and exact skill that your company need then no need to fire them out. You can give them proper training. Set a time limit and have your eyes on them. If they won’t reach your expectation, then decide to fire, otherwise not. The testing period should be strictly monitored. This is the time when you can give the proper training to your newcomers. So that they can give their best in their project and can be able to complete them in time. Show them how to do, what to do and when to do. Guide them completely and explain the rules and requirements in detail. Sometimes what happens, something left due to mistakes. How to solve that? This can be solved if you are checking the working principles and projects in the proper time interval. A tool is there which is used to reach the same. That software or tool is named as “Employee monitoring software”. Many varieties are now available in the market. But the thing is to think is, which is the best among all. So let’s have an overlook on that. Which is Employee monitoring system the best? It has the simplest operation. They are easy to understand so that user can easily operate it. It can record the records of its employees. It allows the admin to control over the employee panel. It gives alerts in perfect time duration. It can continuously observe its employees. It can save all the screenshots. Along with that it can count the keystrokes of each employee and keep a regular record of that. From the above features and principles, you must get the idea that why EmpMonitor is the best. Continue this procedure in the entire cycle of employment. If you have installed an employee monitoring software, then you can easily keep your eagle eye on your employees at anytime from anywhere. 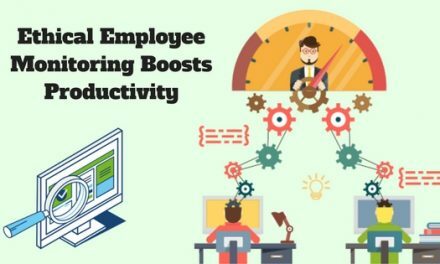 It must affect your company’s productivity. 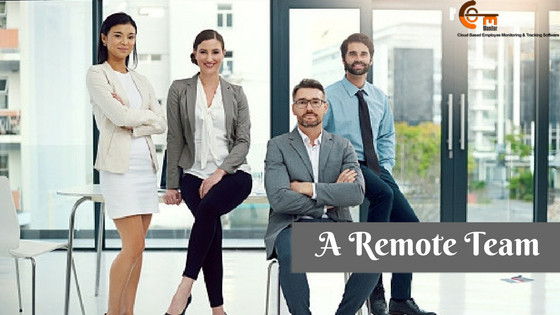 Dedicated, honest, and skilled employees can make a perfect remote group and this group can work as an enhancer for that company. So always try to make a remote group which can help your business to reach the top. Thank you for reading my post. I hope I could be able put my point in front of you in a cleared manner. For more details regarding EmpMonitor, you can subscribe to our site and can get more information regarding this. NextHow To Protect Your Infrastructure From Less Productivity?